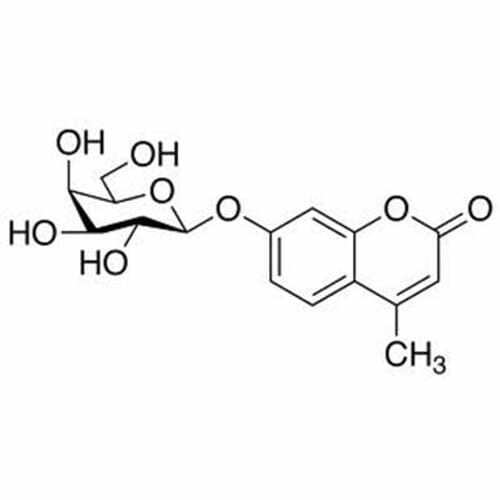 Enzyme substrates for galactosidases, a member of the glycosidase family of hydrolyases. 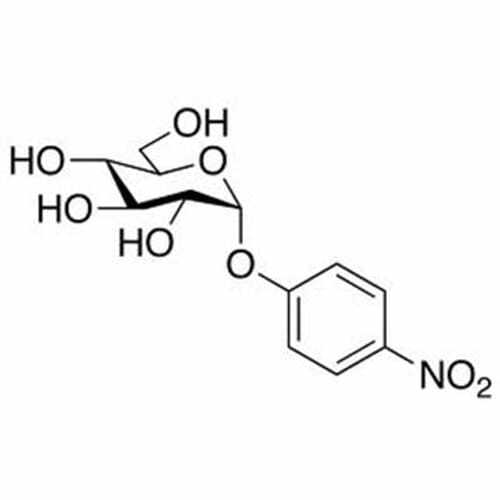 Galalctosidases catalyze the hydrolysis of galactosides into monosccharides. 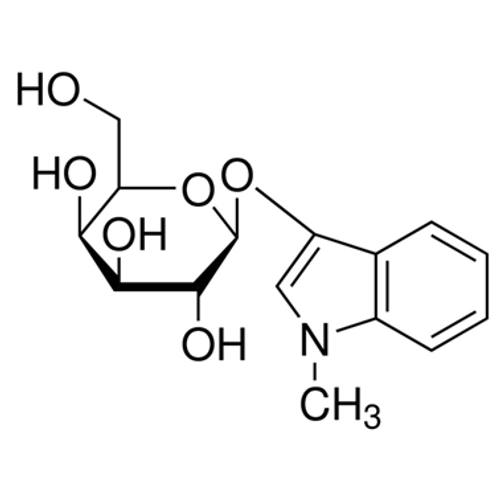 1-O-Methyl-α- D- galactopyranoside 1-O-Methyl-galactoside 1-OMe-alpha-D-Gal MOLECULAR BIOLOGY GRADE White to off white crystalline powder A gratuitous α-galactoside inducer Store at 2-8°C and protect from light. 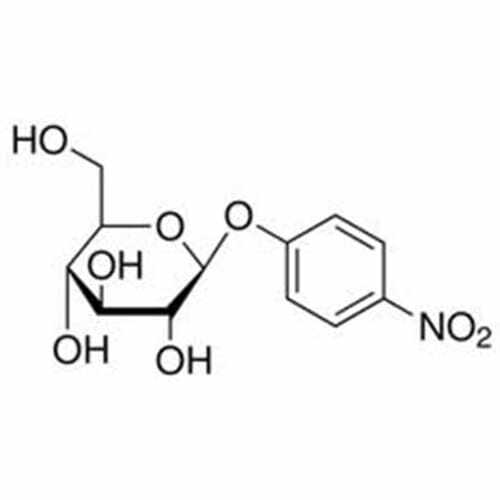 Features CAS#: 3396..
4-Nitrophenyl-α-D- galactopyranoside p-Nitrophenyl-alpha-D-galactoside PNP-alpha-D-Gal PNPG MOLECULAR BIOLOGY GRADE Off white crystalline powder Chromogenic substrate yielding a soluble chromophor for the colorimetric assay of alpha-D-galactosidase upon cleavage. 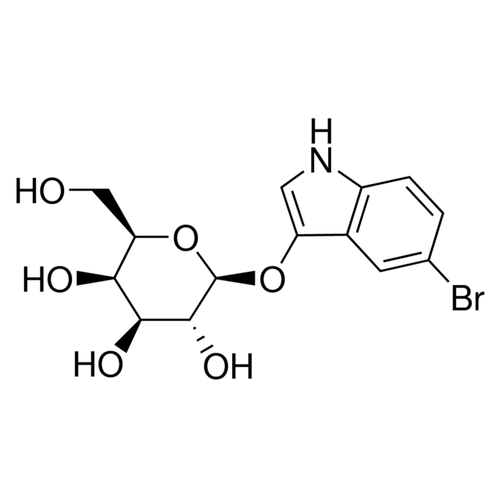 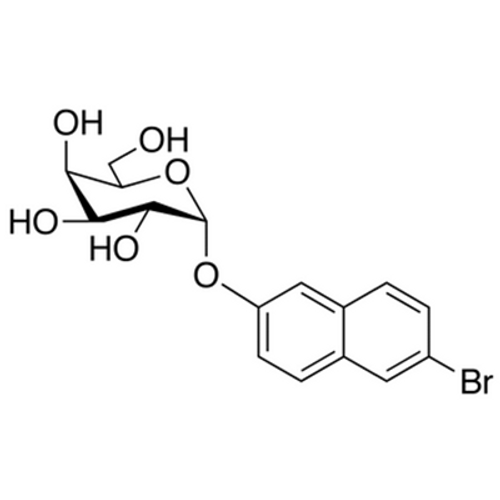 U..
6-Bromo-2-naphthyl-α-D-galactopyranoside 2-(6-Bromonaphthyl)-α-D-galactopyranoside Br-Nap-α-D-Gal MOLECULAR BIOLOGY GRADE Store at -15°C, keep dry, protect from light. 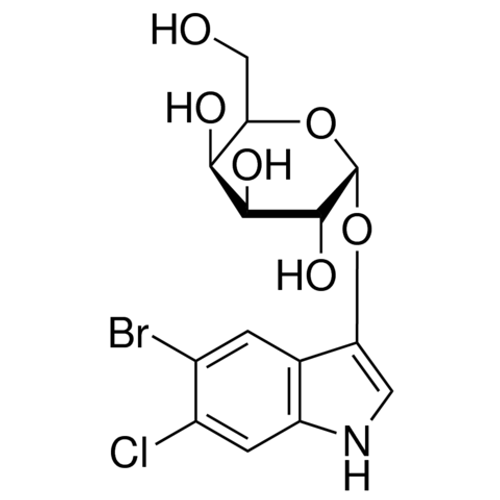 Features CAS#: 25997-59-5 Molecular Formrula: C16H17BrO6 Molec.. 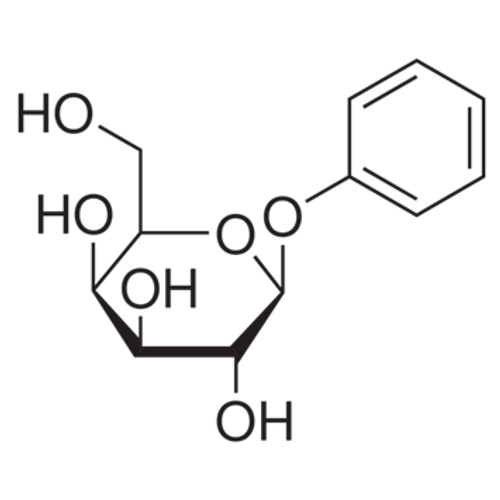 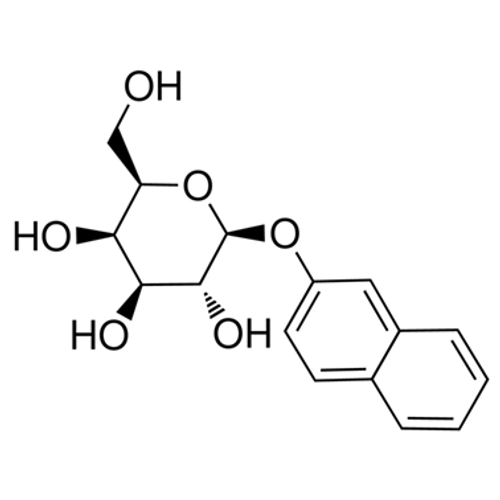 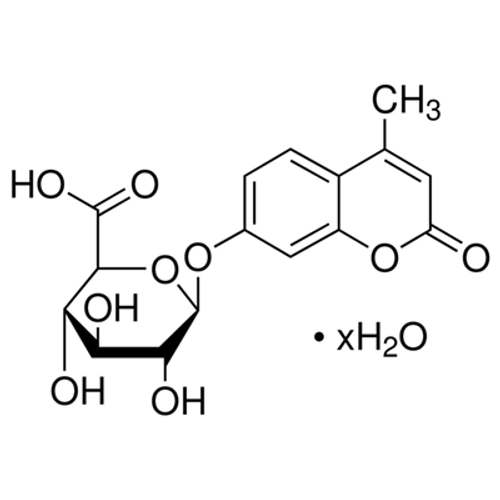 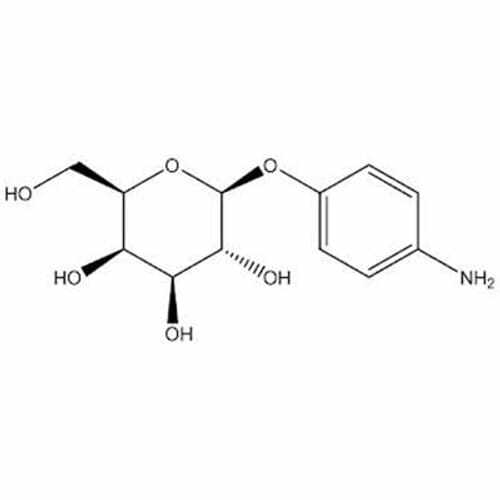 Mug; 4-Methylumbelliferyl beta-D-glucuronide Hydrated form of MUG is CAS # 881005-91-0. 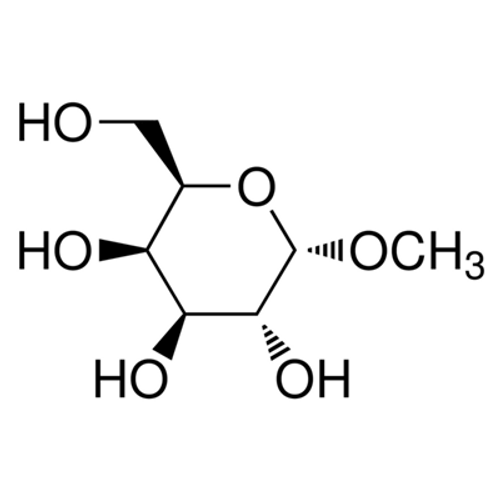 MOLECULAR BIOLOGY GRADE 4-methylumbelliferyl-beta-D-glucuronide (MUG) is commonly used for the detection of Escherichia coli through its ability to detect activity of beta-glucuronidase (G..